When you’re riding down the “Ruta 40” in Argentina and get caught in a downpour, you’re going to wish your motorcycle jacket, pants, and boots are waterproofed well! Proper riding attire will keep you safe and comfortable on those long rides and with the selection on this site, you’re going to look good doing it too. I can tell you firsthand that taking a tumble in riding gear is a lot different than braving the fall in jeans. It can be the difference between a bruise and a skin graft. But let’s not get too dramatic yet. Choosing the right jacket and pants is mostly a preference of style. There are two main types of material you can pick: leather or synthetic. There are variations in these two types but we’ll get into more detail in the articles. You can go for the classic Street or Cruiser styles or the bigger and more functional Adventure/Touring styles. You can even get them as a single piece of clothing which is tremendously useful if you’ll be facing harsh climate (dirt, rain, snow) but not very practical if you plan on having more casual outings every once in a while. If you’re going to embark on a trip longer than a week or one that will have you crossing different types of terrain and weather, I’d opt for the Adventure style jackets. Whichever the material, make certain that it meets minimum safety requirements (it shouldn’t puncture or tear easily). On top of that, you want to ensure that it has proper breathability or that it at least has ventilation zippers well distributed along the suit. Both jackets and pants should have a slight bend at the elbows and knees since this will be the position you’ll be in most of the time and will provide a more comfortable riding experience. They should also have some padding in the elbows, shoulders, spine, knees, and hips. Some models will include in-built armor while other will adopt a more modular approach and let you supply these yourself. When fitting these items it is wise to leave a little bit of room so you can throw on some layers underneath. Remember that the jacket and pants are your outermost layer. Some brands have removable liners that make layering a lot easier. Boots and gloves should optimally be weather resistant and provide some protection. You’ll want your gloves to have palm and knuckle guards (usually made of carbon fiber) and to provide the same insulation and breathability as your garments. The boots should have similar protection around the the ankle and toes. 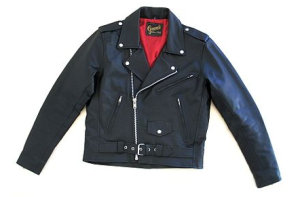 The reviews will contain individual jackets and pants, as well as combo-type garments. As always, safety and comfort will be the determining factors for these items. I’d love to hear your own opinions on the pieces reviewed here. If you’ve used any of the apparel reviewed here, please leave a comment. Any review requests can be sent through the About Me page as well.